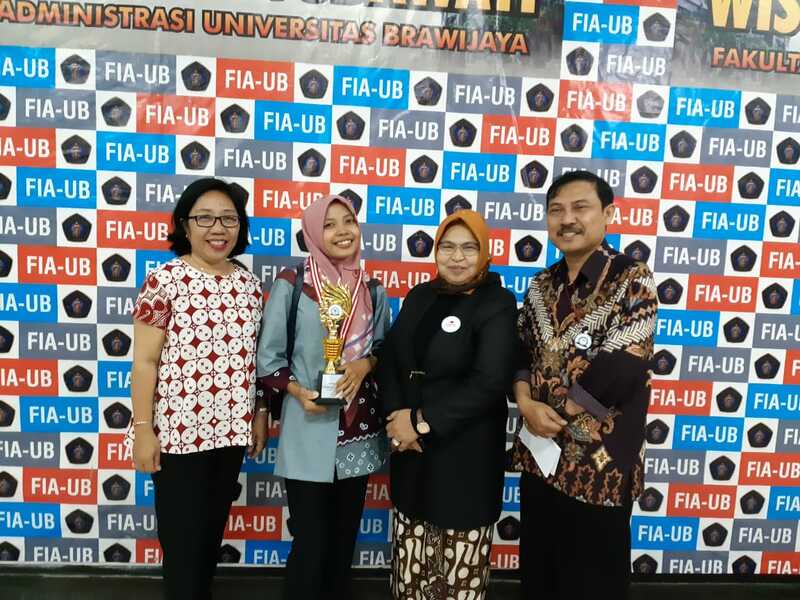 A librarian of Universitas Muhammadiyah Yogyakarta (UMY) Arda Putri Winata won National Indonesian Academic Librarian Award (IALA) 2018 conducted by Forum Perpustakaan Perguruan Tinggi Indonesia (FPPTI) at University of Brawijaya Malang, Jawa Timur. Arda represented Daerah Istimewa Yogyakarta (DIY) at the award. She passed long processes to go to the final round. She had to compete with the other four finalist from Universitas Bina Nusantara representing DKI Jakarta, Universitas Muhammadiyah Ponorogo representing Jawa Timur, Universitas Muria Kudus representing Jawa Tengah, Universitas Padjadjaran representing Jawa Barat, dan UMY representing DIY. The winner was announced on 5 September 2018 that Aida finished the 1st place with 4,766 points followed by a librarian of Universitas Bina Nusantara in the 2nd place, and a librarian of Universitas Muhammadiyah Ponorogo in the 3rd place. Aida was jubilant to win the competition and expected that the contest broaden her horizons of who a librarian truly is. “Through this competition, we hope that we can show the world that a librarian can be a research partner because we are able to do it so that a librarian can be developed,” expressed Aida in an interview on Saturday (8/9). Meanwhile, Head of Library of UMY Lasa HS, M.Si. wished that the achievement could prompt UMY to embody its visions and missions. “We hope that Library of UMY can contribute to compete in goodness (fastabiqul khairat) and actualize a vision of Library of UMY to deliver information of Muhammadiyah and Islamic teachings as well as Science and Technology,” he declared.